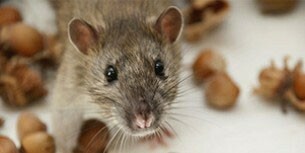 Pests in the home can be frustrating at best, but amazingly, many people put up with them for long periods of time. Perhaps you don’t consider the problem that bad, or you are content to handle it with traps or sprays. But a professional pest controller can help protect your home and family. Here are a few tips on why you should consider professional help, when to call it in, and what to look for when choosing pest control companies. Anyone who has bought a home will remember that a pest inspection is critical before you make a purchase, to check for any infestations and damage already done. This shouldn’t be the only time you call in the experts however. 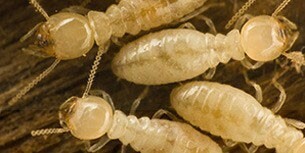 Termites of course have the potential to cause thousands or even tens of thousands of dollars damage if they attack a home’s foundations, and untreated homes can attract termites at any time. A regular check will help ensure you catch the problem early, eradicate the pest and avoid a costly repair. Pests such as rats and cockroaches may also be harmful to your family’s health. The pesticides you use around the home to control them may not only add to that problem, they may also not be particularly effective. The best pest control is designed to keep your home pest-free for years at a time, and that can only a good thing when it comes to looking after your loved ones. Some people might be put off at the thought of hiring regular or emergency pest control when a can of spray might seem to do the trick. But you should always remember that where one pest is, there’s likely to be more. 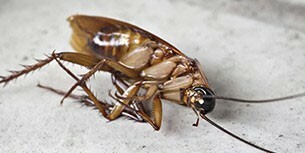 In general, it can be a good idea to seek help if you’re seeing regular pests such as cockroaches or spiders or if you’re noticing droppings anywhere around the home that might belong to rats or other critters. If you notice holes in walls, floors or other areas, it may indicate termites and it should certainly be looked at as soon as possible. There are plenty of pest control companies around, but not everyone has the experience or tools to do the best job possible. Consider not only experience and reviews when selecting a pest controller, but also areas of expertise and the capability to do a thorough job, and do it safely. At Pioneer, we have not only helped thousands of families eradicate pests of all descriptions, we use top-range radar technology to ensure that even difficult to access areas are thoroughly checked. If you have pests now, or simply want to ensure your home stays pest-free, then don’t hesitate to get in touch.